MELVILLE, NY, February 5, 2019 – On February 3rd, Canon U.S.A., a leader in digital imaging, was proud to see an estimated 70 percent of professional photographers in the Atlanta stadium captured the Big Game between Los Angeles and New England with Canon cameras and lenses. The sidelines were filled with Canon’s iconic white barrels from the opening kickoff to the final whistle. In addition to the sports photographers using Canon camera systems throughout the stadium, an extensive array of Canon HD and 4K UHD broadcast lenses were used to help deliver the live telecast to over 100 million viewers. A fixture at major sporting events throughout the year, the knowledgeable staff from the Canon Professional Services (CPS) team was on site at the stadium in the week leading up to game day to assist photographers in a multitude of ways. The CPS team kicked off preparations by bringing in loaner gear to supplement the arsenal of cameras and lenses owned by Canon professionals. On site, credentialed photographers were able to bring their gear to CPS for a thorough clean and check to help ensure their equipment was in peak condition and ready to go. 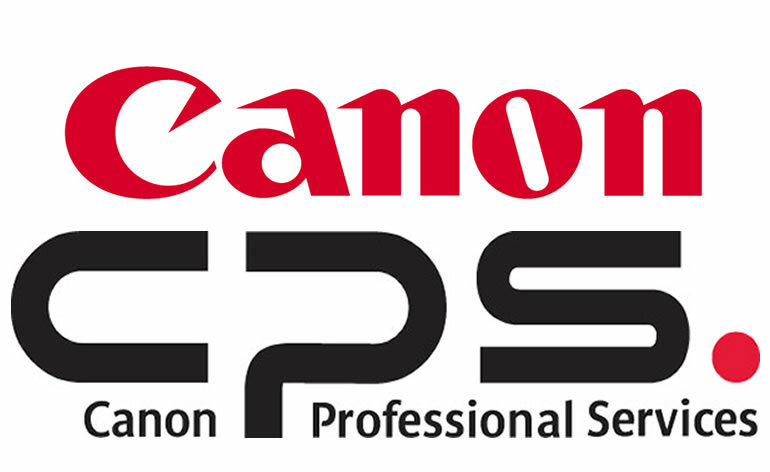 Right before game day, the CPS team hosted a Canon-sponsored luncheon dedicated to photographers capturing the Big Game. A Canon broadcast lens technician was also on site at the stadium in the days leading up to the Big Game, providing cleaning and maintenance services to help ensure optimal image quality could be achieved for the vast television viewing audience.